Turkey: Act Of Terror – Bloodbath – CIA Suspected – WW III Is the Goal – Coercion Code – "Dark Times are upon us"
Most agree that Obama is pulling out all the stops to start World War III. I had an interesting early morning conversation with an old reliable source and a new source. Shortly, after midnight, I interviewed Paul Martin who had seemingly related information. My conclusion is that all three agree on the motivations behind the recent assassinations and terorrist events. Let’s begin with Paul Martin. Paul has two sources that have yielded two valuable pieces of information. Paul revealed on an impromptu broadcast that (1) Select Marine units, stationed domestically, were told to be ready to deploy within four minutes of being notified of the need to meet at a predetermined rally point; and, (2) the UK military cancelled a significant number of leaves in their military in order to get personnel back to their respective bases. So what? The “so what” is that intelligence related to a pending terrorist attack was accurate, they just had the wrong location. The terrorist attack did not take place in the US or the UK, it took place in Turkey. More on the terrorist attack on Turkey later in the article. It has been tough week for the Kenyan in the White House. He has sent 4,000 combat troops from Ft. Carson to the Russian border and the Russians did not respond. Obama continues to berate the Russians with fake allegations of election hacking resulting in the expulsion of 35 Russian diplomats. Putin still did not respond with a military or diplomatic option. This was all preceded by the assassination of the Russian Ambassador to Turkey. Most military and inteligence people I speak with blame the CIA as this is the definitive MO of the CIA. Remember the Orlando Florida nightclub? 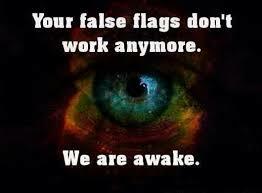 Also, earlier in the week, a Russian military plane was brought down, most likely from an EMF/RF frequency weapon. This event also has the CIA signature all over it and it has been confirmed that most agencies believe that this was the work of the CIA. Of course, there will be those who will say that there is no evidence that the CIA was ever involved. Despite the fact that they have performed these kinds of acts hundreds of times, what do people expect? Do they think that the CIA is going to take out an ad in the Washington (com) Post admitting what they have just done? Can any reasonable person believe that these acts are random and independent of each other? Only a coincidence theorist could believe these acts are not related. And why would the CIA be a party to these actions? Simple, to provoke Russia into attacking either the US or its NATO ally, Turkey, which would require a US military response and then the globalists would get their war. Despite all of these provocations, Putin has done nothing but mock Obama and the West, but he has not been provoked into starting World War III. In fact, as I previously reported, in a Russia Today article, Putin stated that the New World Order was” making Pedophilia the new normal in the West”. Given the previous bad blood between Turkey and Russia, many are surprised that Russia and Turkey have not already locked horns. At lastest report, over 40 people were killed in a terror attack the Reina nightclub, one of Istanbul’s most popular, up-scale venues for entertainment. Celebrities such as Sting and Kevin Costner have been known to attend this club. An estimated 17,000 police officers were on duty following an intelligence briefing from the US warning a possible terrorist attack. Initial reports suggested that two gunmen had stormed the building, but authorities are currently understood to be searching for one killer who was wearing a Santa suit. It is always the “lone-nut” perpetrator in these kinds of events. This is the last we will hear of an accomplice. Turkey’s president Erdogan has vowed “to fight to the end against all forms of attack by terror groups and their backers”. 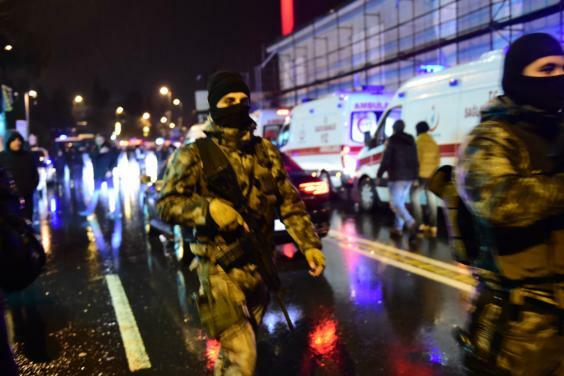 It is obvious that the attack upon Turkey on New Year’s Eve is not being accepted as just another random act. Who are the backers? In another statement following the attack, the Turkish President stated: ‘As a nation, we will fight to the end against not just the armed attacks of terror groups and the forces behind them, but also against their economic, political and social attack”s. It is noteworthy that this attack came on the heels of a cease fire in Syria which was brokered by Turkey and the Russians. The Americans and Obama were completely left out. The Federal Reserve has had the goal, and subsequently, or selected Presidents, to take down Syria and Iran to prevent the BRICS from destroying the backing of the dollar that oil provides. Until recently, all nations had to first purchase dollars before buying oil. This gave our Federal Reserve Notes the only backing that they receive. Now, the BRICS have foresaken the dollar and it is just a matter of time until the dollar and the US economy come tumbling down. From the Federal Reserve perspective, Iran and Syria must have regime changes and it is worth a war to the globalists and the Federal Reserve. Russia has been protecting its interests by defending Assad. The US, through the creation of ISIS has been trying to unseat Assad and the result is a horrible civil war. Now that our NATO ally has brokered a cease fire with Russia in Syria, Assad will stay in power and the Petrodollar will continue to erode as will the American economy. Hillary Clinton was to be the war president. Now, it is up to Obama to get the war started and this is what this entire set of events is all about. Next week, Congress meets with Obama to try and save Obamacare. Instead, we the American citizens need to be burning up their phones and telling them to bind up Obama so he cannot provoke World War III. Next Next post: New Zealand Experienced A Whopping 32,828 earthquakes in 2016.